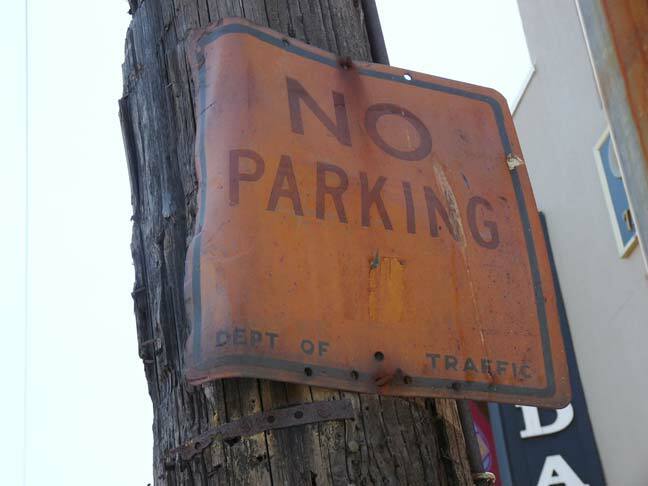 A green slotted post on 39th Road, next to the Little Neck station platform on the Long Island Rail Road, proclaims the parking rules on this stretch of road: “don’t even think of parking here.” In fact those rules are further exhorted by not one, but two separate signs. 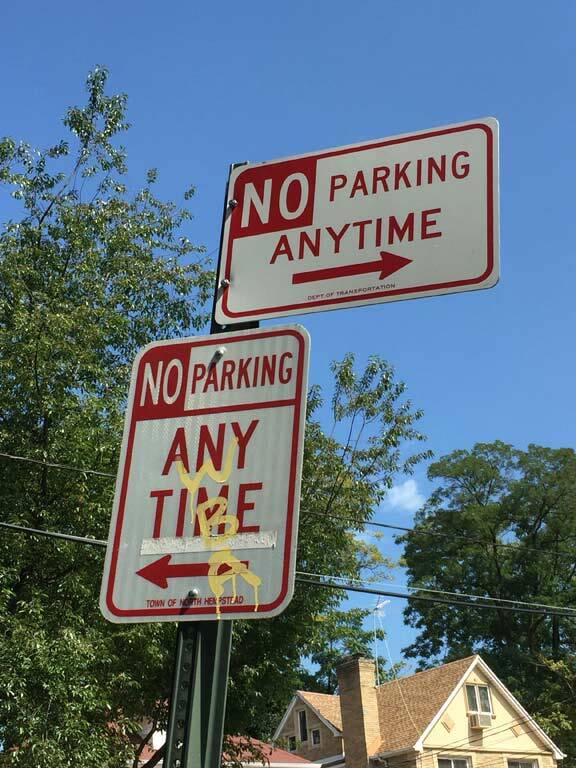 Why two signs? The reason is simple, though fairly laughable. The eastern end of 39th Road turns right, and the road becomes Nassau Road. The city line, the eastern limit of New York City, is at the green slotted post. 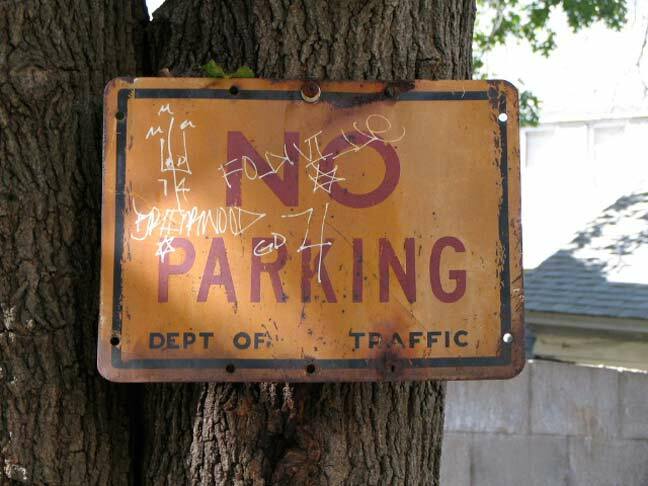 Both municipalities, the City of New York and the Town of North Hempstead in Nassau County, each have a no parking rule here, and both municipalities are going to make sure that motorists know about it. Each municipality spells “anytime” differently, though. In NYC, it’s one word, while in Nassau County, it’s two. Which is preferred? …while this one is, or was, on Sheepshead Bay Road and Voorhies Avenue in Brooklyn. 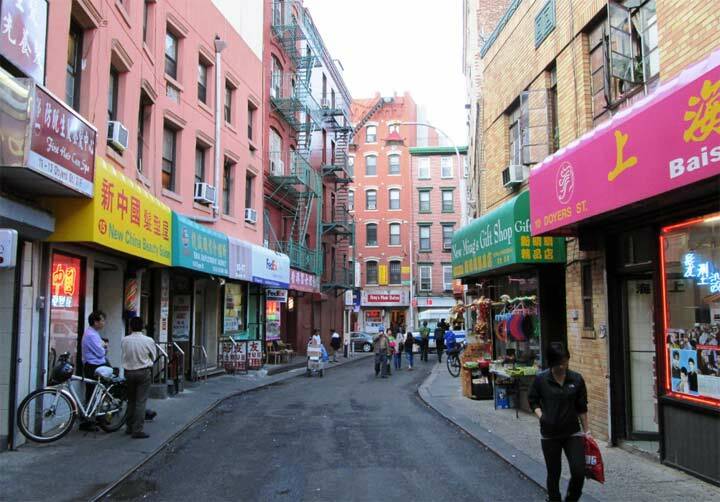 Both date from between 1950-1977: that was when the city’s roads were maintained by the Department of Traffic, which had taken over the responsibility from the NYPD. The board was reorganized in 1977 as the Department of Transportation. Apparently the dueling usage of anytime verses any time came about as part of an Americanism circa 1929. The original English word was any time. Both spellings are now an acceptable format. 39th Road is forced to turn south and become Nassau Road because immediately to the east and north is a large wetlands area. Only the LIRR crosses it, and in June 1984 a sudden flash flood washed away all of the soil under the LIRR embankment, leaving the tracks literally hanging in the air. Took a few days to repair, with no train service on the LIRR east of Flushing, as I recall.